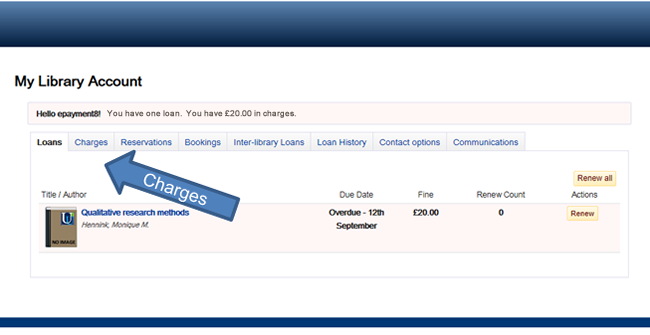 Only fines totalling up to and including £32 can be paid online. For higher amounts please speak to a member of Library staff. Go to My Library Account via the Library Catalogue. Click on Charges to view details. 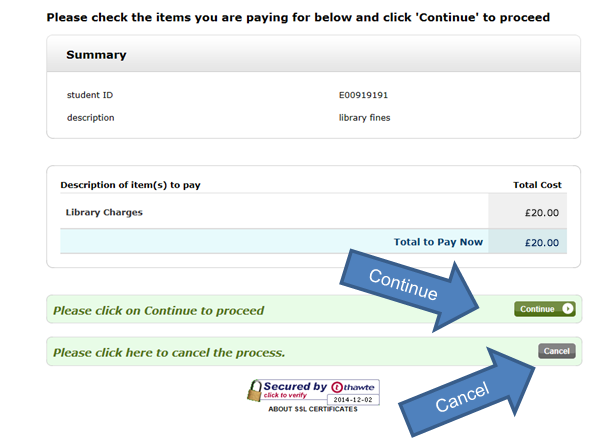 By clicking on Pay Now you are agreeing to the Terms and Conditions of use (printed copies also available at Information Points). A summary of amount will be displayed. Click continue to complete payment. Select your Payment Method and then follow the on-screen instructions to complete your card or PayPal payment. When payment is complete a Summary will be displayed with your Payment Reference. An e-mail confirming payment will go to the e-mail address supplied. You can check the fine is paid by going to My Account. Please remember to Logout when finished. 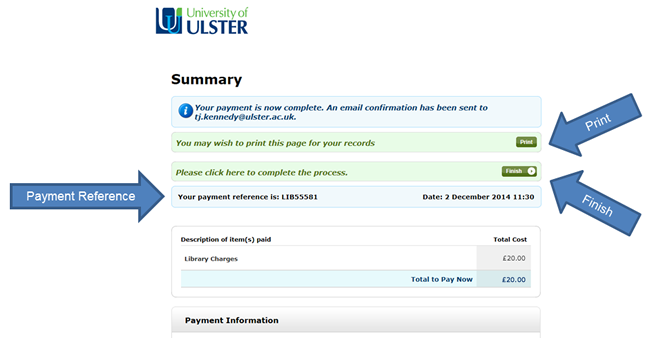 If you're off-campus please e-mail epayments@library.ulster.ac.uk.